And promoting social skills such as sharing and compromising, along with discovering independence. 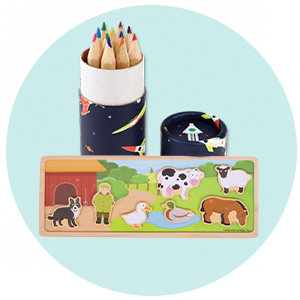 Parents want to tap into the well-documented benefits of learning toys, but when faced with a bewildering array of toys all proudly displaying the word ’Å“educational" on the box, how is it possible to know which ones represent the best buys? 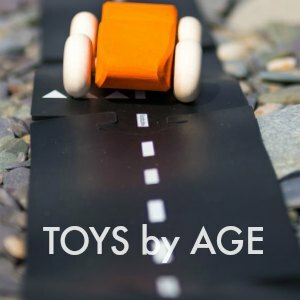 Is the educational toy age (learning stage) appropriate? 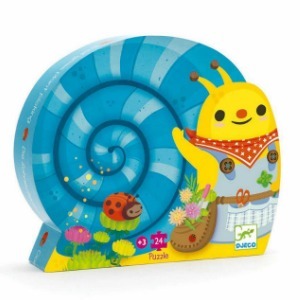 Will the educational toy grow with your child? Is the educational toy fun? Is the educational toy destroying the planet? 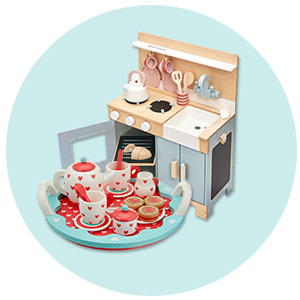 1: Is the educational toy age (learning stage) appropriate? Ever found yourself uttering the words ’Å“advanced for his/her years" when discussing your little one? It’s not uncommon for children to be given star or prodigy status by proud parents, but when it comes to buying toys, it’s important to pay attention to the recommended age bracket. 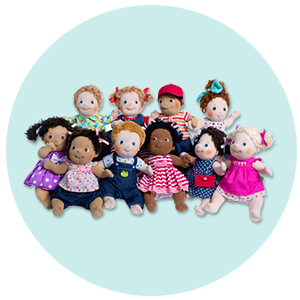 Toys that are unsuitable for very young children often contain small parts that represent a choking hazard, and toys deemed suitable for age 8+ years may not inspire or hold the attention of a 6-year-old. All children develop at different speeds, but the best buy will always be the one that’s designed to appeal to the child’s stage of learning ’â€œ not the ego of the buyer. 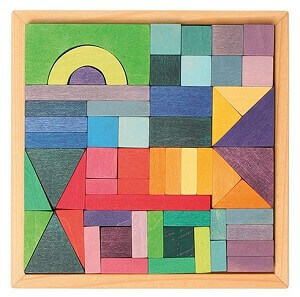 Grimm’s Puzzle for Building Complementary Star ’â€œ the possibilities are endless with a Grimm’s puzzle. Children of all ages from 3+ can explore the principles of geometry and then let their imaginations run wild as they create their own shapes and designs. 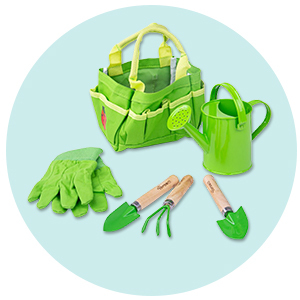 2: Is the educational toy going to grow with your child? Why buy a toy that’s only going to be enjoyed for a short window in a child’s development when you can buy a toy that’s designed to grow with them, offering new learning at each new stage. Think about it; how many mass-marketed ’Å“must have" toys for Christmas are still being played with come February? Goula Calendar Clock ’â€œ this calendar clock offers on-going learning beyond telling the time. Featuring days of the week, dates, months, seasons and weather, it’s an educational toy that’s set to be of long-term interest. 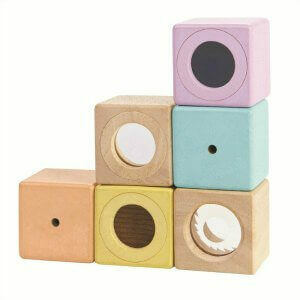 Plan Toys Beehives ’â€œ this popular toy appeals to young children learning how to colour match and count. It maintains its appeal as they grow and develop fine motor skills, and then takes on a new lease of life as they begin creating their own games. 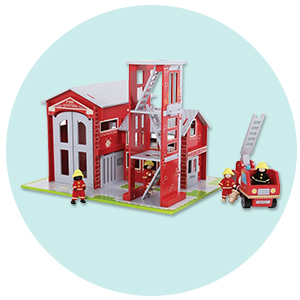 It may be cliché, but the only limit with this toy is a child’s imagination. 3: Is the educational toy fun? From a child’s point of view, this is by far the most important question to answer. They’re not interested in how educational a toy is, their only concern is how much fun it is. 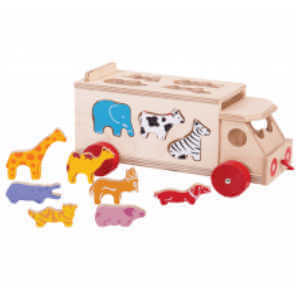 The writing on the box may wax lyrical about the educational learning provided by the toy, but if it’s not fun to play with, children will quickly ditch it in favour of playing with the box it came out of instead. Take a moment to read reviews provided by those with real-life experience ’â€œ do children really love it as much as the manufacturers say they will? 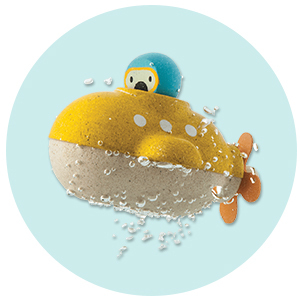 Plan Toys Timber Tumble Educational Toys’â€œ what could be more fun than trying to save the beaver from a fall? 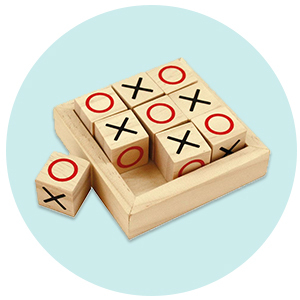 This popular game can be played by all the family, helping children to develop social skills along with promoting concentration and coordination. A whole lot of learning neatly disguised in a fun package. 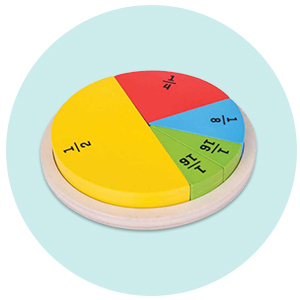 Plan Toys Fraction Blocks ’â€œ who knew fractions could be this much fun? 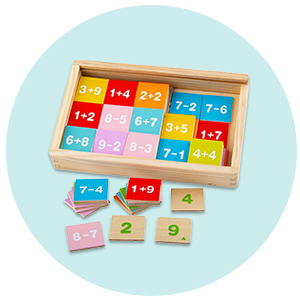 Putting the blocks together and learning about fractions through creating endless shapes is a hands-on and truly fun way to get to grips with numbers and maths, the perfect educational toys. 4: Are the educational toys destroying the planet? The final question to ask yourself is what the cost of your purchase of educational toys will be on the planet. No matter how educational the toy or how much fun it is to play with, if it’s not being produced ethically and from sustainable sources, what value will it be to your child as they grow up in a messed-up global environment. It may not be the first thing you think about when buying toys, but what better way for children to learn than through example. 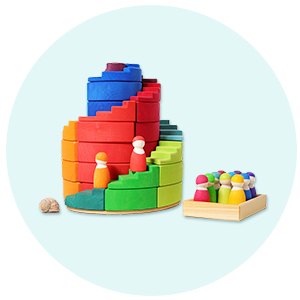 Plan Toys ’â€œ founded in 1981, Plan Toys is committed to minimising its impact on the environment by designing learning toys made from reclaimed rubberwood. 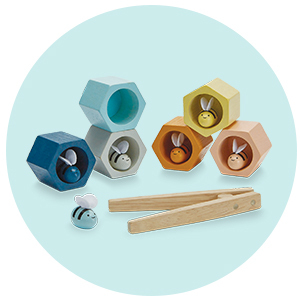 Grimm’s ’â€œ founded in 1978, Grimm’s produces beautiful wooden toys using wood from sustainable forestry sources. 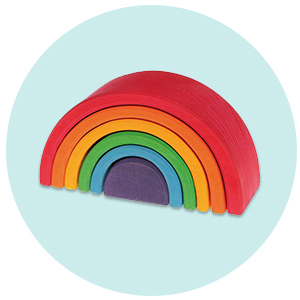 So, there you have it, our top tips on buying educational learning toys. 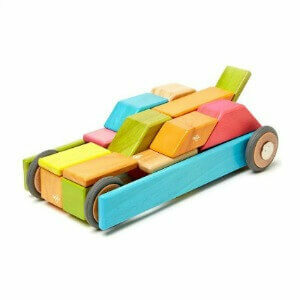 Far from being dull and boring and favoured by parents more than children, education toys are fun by design. Happy shopping!